1. 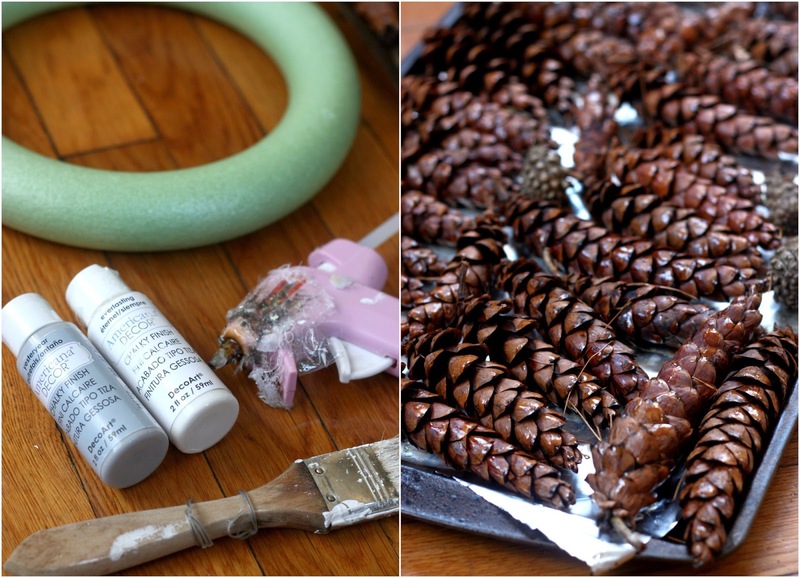 First, you will want to prep your pine cones if you found them out in nature. To do this, soak them in sink full of hot water + 1 c. of vinegar for a few minutes. Next, transfer them to a foil-lined cookie sheet and put them in the oven on 250 degrees for about an hour. This will get rid of bugs, get rid of the sticky sap, and dry them out. Plus, it will make your house smell OUTRAGEOUSLY good. 2. Next, get your wreath form ready. 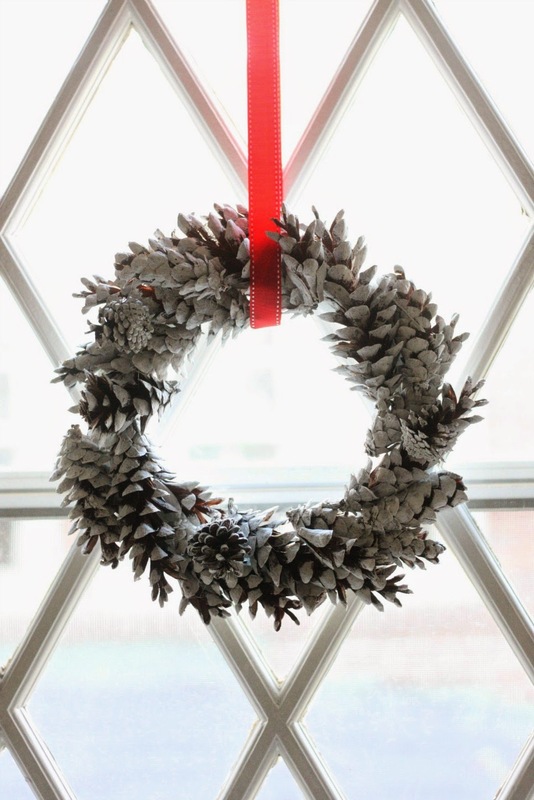 I found it was easier to glue down the pine cones if the surface of the form was flat and not round. 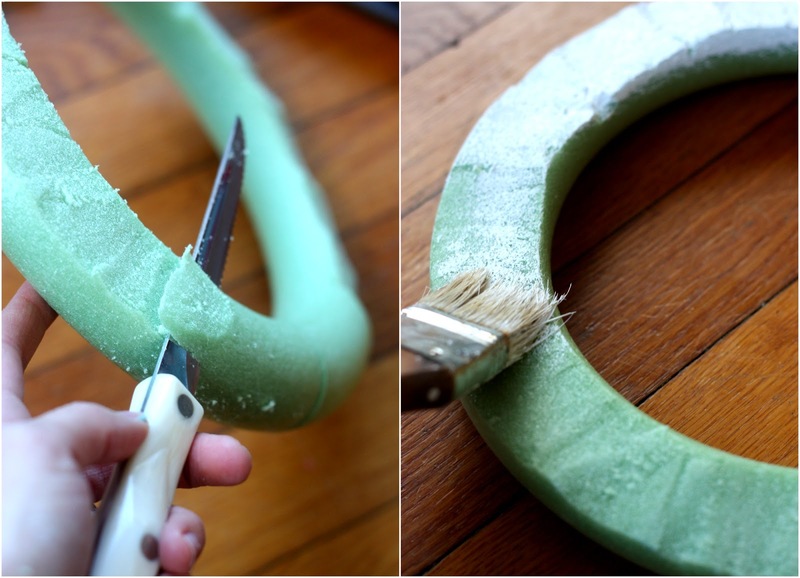 To do this, I used a knife to shave off some of the form to make it flat on one side. 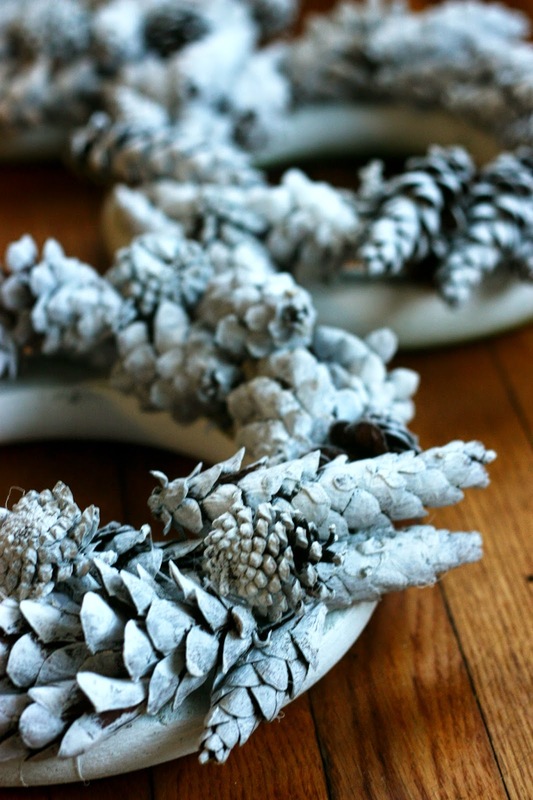 After you have done this, paint the wreath form the color you are painting your pine cones and let dry. 3. 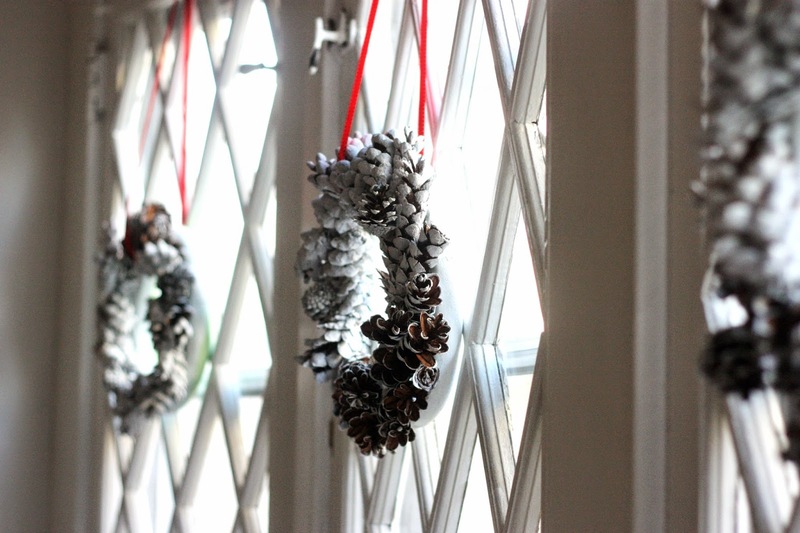 While your wreath form is drying paint your pine cones! I found that I paint brush with bristles worked best to get the kinds of coverage I wanted. 4. 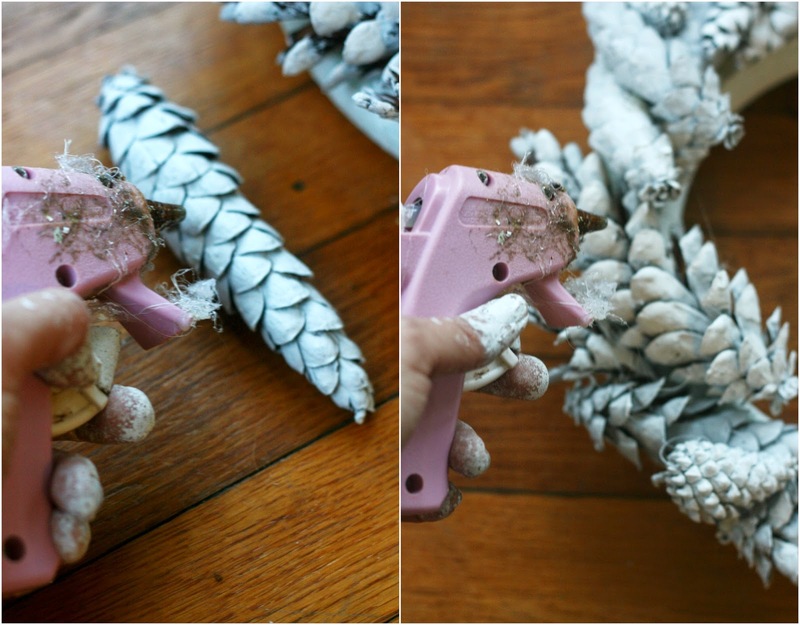 Once the pine cones are dry, hot glue them to the form! There really are no rules with this. 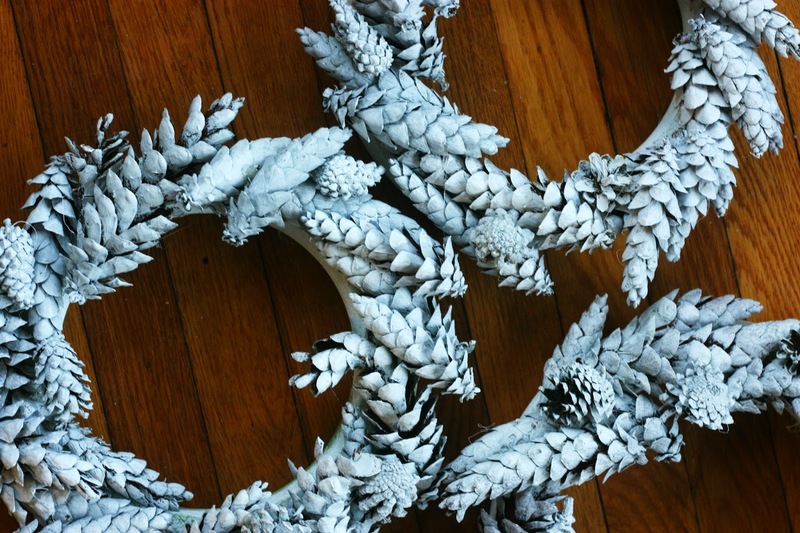 I just kept gluing pine cones until I liked how it looked! That’s it! Hang those suckers, get some hot chocolate, turn on some White Christmas and let that Christmas spirit get the best of you! 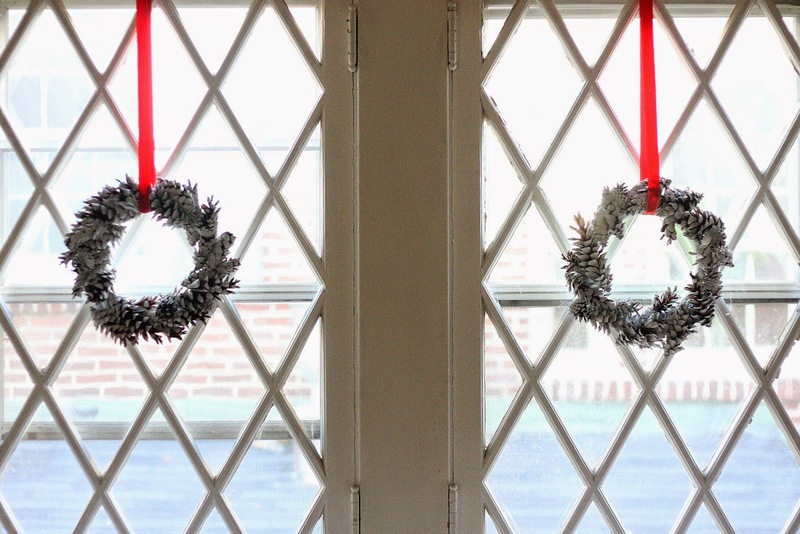 Want to make your own wreaths or another chalky-finish craft? Well, it’s your lucky day because today you can enter to win 8 colors of your choice of Americana Decor Chalky Finish paint, as well as clear and dark creme waxes, Soft Touch varnish, waxing brush and 2 stencils of your choice! Get to entering below and happy holiday crafting! Americana Decor Chalky Finish paint is available in Michaels in the wood and finishes aisle. Visit the DecoArt Chalky Finish website for more chalk paint ideas at http://decoart.com/chalkyfinish. 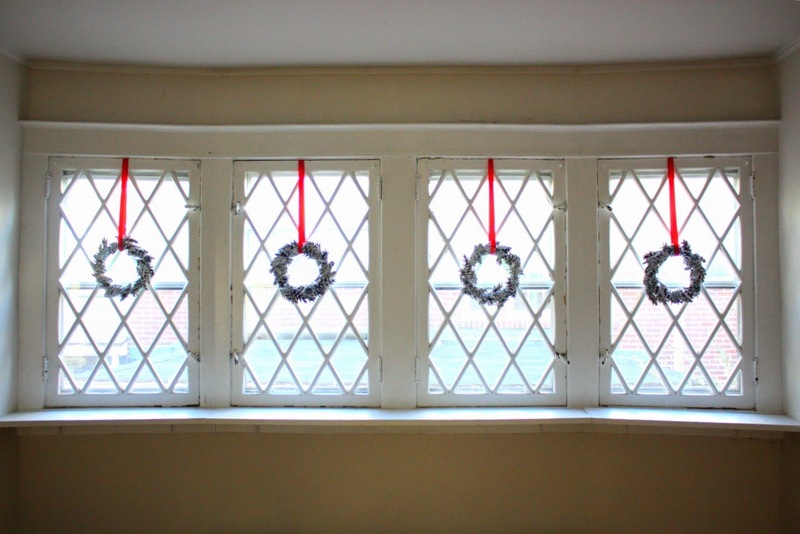 These wreaths look so gorgeous in your windows! I'm definitely going to have to try this! SO pretty! 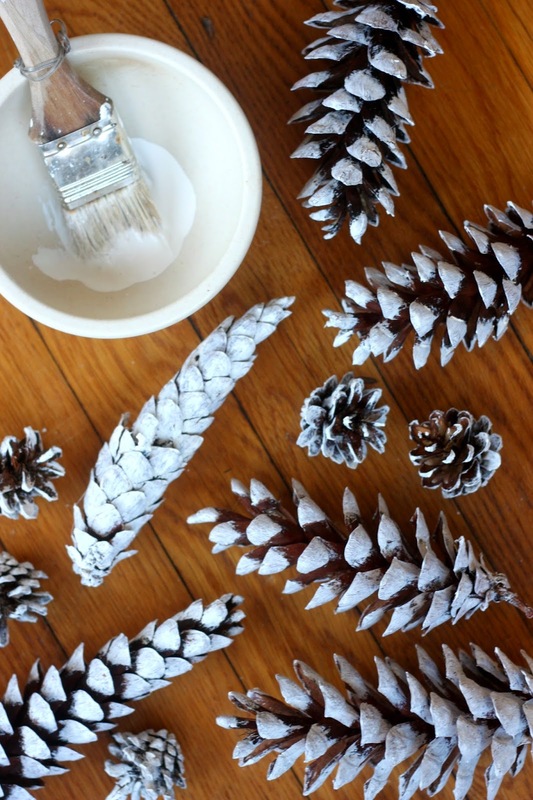 I would have never thought to use chalky paint on pinecones. Pinning! So gorgeous!! Tx for the tutorial!! Beautiful wreaths. I would love to try chalky paint.